Slot machines seems to work on a fairly simple concept. Anyone who’s ever played one is probably quite sure that they know exactly how they work, at least on a basic level. You pull the lever or push the button and the reels spin. When the reels stop, if they land in one of a number of predetermined positions, you win something. Simple, right? What if I told you, though, that not all slot machines work that way? Many gamblers don’t know that in the U.S. there are two different type of slot machines. They are known as class II and class III slots. The basic result of this law is that in most jurisdictions where gambling is legal and regulated, you’ll find class III slots and games. In Indian casinos, however, they can only offer games based on bingo. So whether you realize it or not, if you’re playing slot machines in an Indian casino, you’re actually playing bingo. Originally, Indian casinos did just what the law stated. They offered bingo in large warehouse-type halls. These bingo games were generally high stakes, offering much bigger risks and rewards than typical bingo games held all over the country. Still, it was only bingo. The games just didn’t provide the excitement that many gamblers were looking for. Eventually, the Indian casinos decided that if they were going to survive and thrive they needed to find a way to recreate the real Las Vegas experience. The Hard Rock properties operated on Seminole land in Florida worked especially hard to devise a way to bring the slot machine experience into casinos where slot machines were technically illegal. They enlisted the help of engineers who had previously worked with some of the biggest class III slot machine production companies to design a backend system that would keep them within regulations. At the same time, they needed to work with slot manufacturers to design machines that would work with their new system. Today, class II and class III slot machines look virtually identical. The giveaway that you’re playing on a class II slot machine is the presence of an LED bingo card in the corner of the screen that shows results with each spin. The reason that little bingo card is there is because that’s what is really determining whether you win or not. You’re not actually playing a slot by yourself the way you would in a Vegas casino. You’re playing along with a pool of players, in a game of bingo. So, in reality, it is the bingo draw that determines if you win, not the reels. The symbols that land on the reels are really just reporting the bingo results in a way that replicates the class III slots. They are not based on an individual random number generator unique to that machine like their class III counterparts. Now, cleverly and perfectly disguised, we have a class II game that replicates the results and experience of class III gaming. Some people feel that class III slots are somehow “more fair” to the player because they are standalone machines that deliver results based on their own random number generator. In reality, however, the payout percentages on both types of machines are basically identical. The class II systems can be programmed to replicate the payout combinations and rates of any class III machine. Just like there are certain odds of any one winning combination hitting on a class III slot machine, there are certain odds of any winning combination occuring in a bingo game. 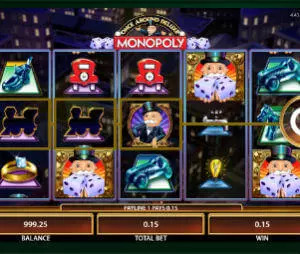 The programmers can match the different bingo results with the hit rate and payout scheme of any class III slot to replicate results exactly. The bottom line is that neither type of slot is “more fair” than the other. Players will get the same odds and payouts on both type of machines. The only difference is in how the results are determined. Think of it as two roads that both go to the same destination. 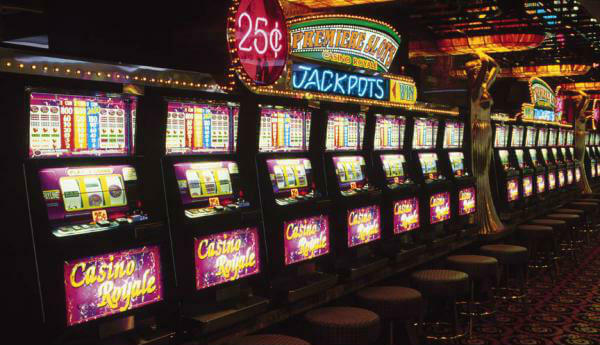 To find out more about slot machines and how they work, check our Slots Guide page. Meanwhile, here are the best online casinos to play slots. Btw, online, all slots can be considered Class 3 slot machines.